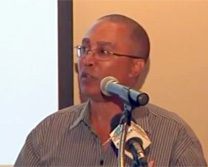 thebahamasweekly.com - Does the Hawksbill Creek Agreement matter? Does the Hawksbill Creek Agreement matter? Effectively, the HCA created a FREE TRADE ZONE (FTZ) in the Port Area of Freeport/Lucaya. By 1960s, south and east Asian countries, including communist China, implementing their own FTZs. Are Free Trade Zones Beneficial? Between 1960 and 2012, ten south and east Asian countries, including communist China, utilized free trade zones to significantly surpass The Bahamas in economic development. Between 1965 and 1999, the East and South Asian countries nurtured their free trade zones; their economic growth exceeded that of the rest of the world including high income nations. Other countries have since joined the movement. None of this would exist without the HCA and its free trade zone. View the full power-point presentation below, attached.